Netbook Sales Are Crashing! Quick! Blame The iPad, Not The Lousy Netbooks! 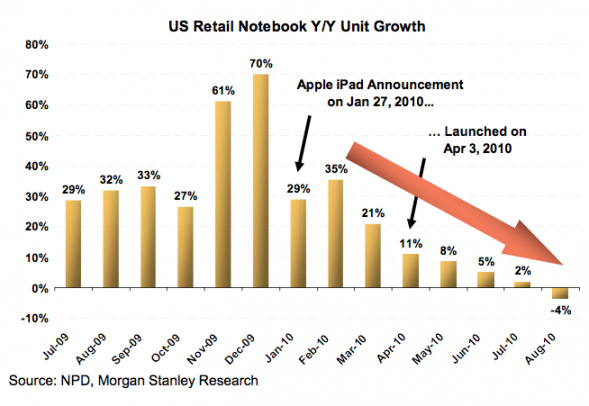 Morgan Stanley’s Katy Huberty’s report is intended to show the state of the netbook market and since the iPad was announced, netbooks declined steadily. She states that the iPad is partly responsible to the loss sales. August saw a 4% decline over last year’s numbers and apparently September will produce similar numbers. If the back to school spending spree can’t save netbooks, nothing can. Not even Santa. I couldn’t agree more with the claim that the iPad hurt the netbook market, but let’s not put the netbook’s huge decline totally on the $500 iPad. You can’t convince me that netbook and iPad shoppers are the same demographic. Netbooks had their 15 minutes of fame last year and were already on a steady downward trend by the time the iPad hit the market in April. Could it be that mainstream consumers finally wised up and opted for a modern notebook instead of underpowered crap? I sure hope so. Best Buy’s CEO recently stated to the Wall Street Journal that internal estimates pegs the iPad with cannibalizing notebook sales by as much as 50%. That seems more like it. A good chunk of customers that walk into Best Buy looking for a laptop, expect to pay a certain amount and the iPad is at the low-end of that scale. Tablets in general will probably appeal to those that have a working computer but are just looking for a fresh experience. 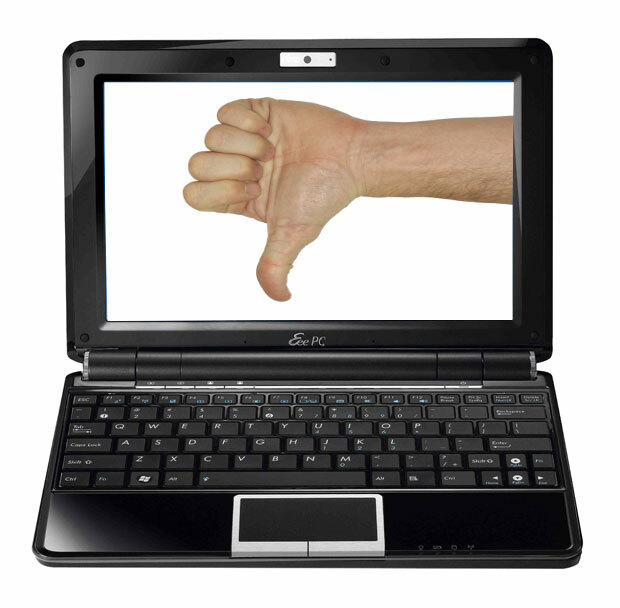 Netbooks somewhat filled that market the last year, but the early hardware paired with Windows Vista likely turned off most buyers from exploring that route again and can perhaps partly explain their massive decline. Either way, I can’t wait for the tablet to kill the netbook star.